Social Distortion "Summer Road Map Tour" - Otter Productions Inc. | Otter Productions Inc. Social Distortion "Summer Road Map Tour" - Otter Productions Inc. 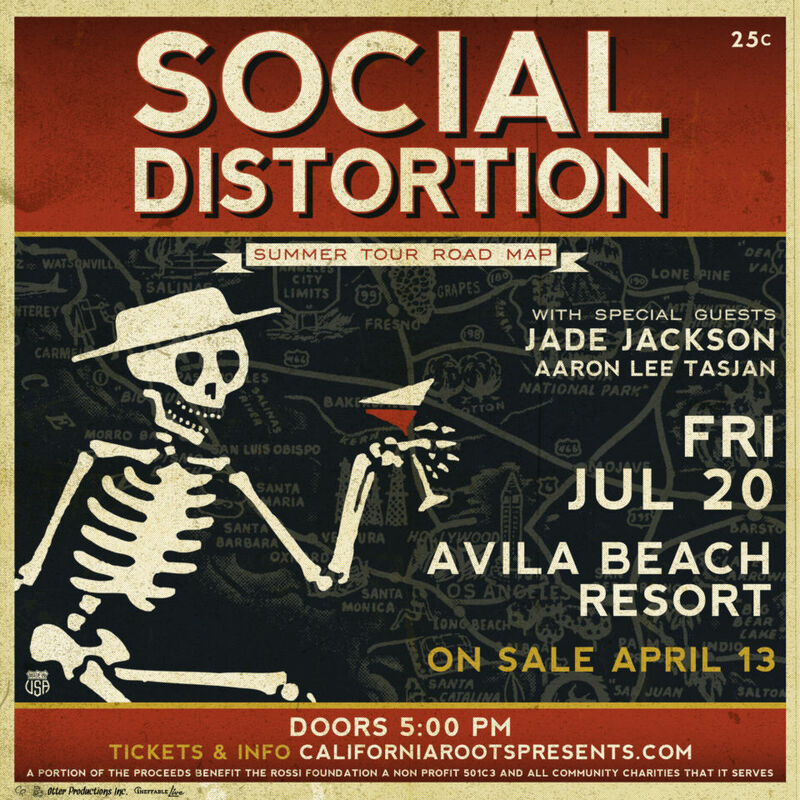 Otter Productions, Inc., Cali Roots and Ineffable Music are proud to announce Social Distortion and their “Summer Tour Road Map” tour, with special guests Jade Jackson and Aaron Lee Tasjan, at the beach at California’s Premier Beachfront Concert Venue, the Avila Beach Resort, on Friday, July 20th. Gates at 5PMPM. All Ages. Rain or Shine. Advance Artist VIP, G/A and Beach Club Balcony tickets on sale April 13th at Boo Boo Records in downtown SLO and at and OtterProductionsinc.com (see below). With Social D VIP ($175.00), Beach Club Balcony ($85.00) and General Admission Lawn ($39.50) tickets available for sale, this will be an afternoon/evening concert, gates open at 5PM. 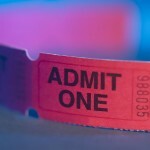 In the style of any great outdoor venue, you will be able to enjoy your favorite libation (adult beverages and premium beer and wine will be available for sale), snack (upgraded concert snacks available for purchase), watch world-class entertainment under the afternoon/evening sky with the backdrop of the Pacific Ocean. Advance tickets will go on sale April 13th at NOON at Boo Boo Records in San Luis Obispo; on-line at: otterproductionsinc.com and californarootspresents.com. All Ages. Rain or Shine. Please no outside food or beverages. No pets. No umbrellas. Pre-Paid parking on-site.